Hello Joe. I love you channel and have been watching ever since I got my first echo and hue lights a few years ago. I now have 2 Echos, 2 Google Home Minis, Hue lights, Wemo Switches, 2 Harmony Hubs and a SmartThings hub with a few sensors. All of this has been a kind of test since it's all in my in-laws basement. My wife and I are now buying a house and I'm excited to be able to create my own full smart house. My first project is security and the front door, and here where my question comes from. The door, like most I've seen, has two locks. But all smart lock systems I've seen are made with one in mind. I measured the space from center bottom to top lock and I think I have a good plan. The Schlage Z-Wave home keypad lever for the bottom and the Kevo 2 for the top. I'm going to take all of my current things with me so they should work together. Also I'm adding a Ring Pro video door bell to the system. The big issue is I have 5 1/4" to fit the two locks in. I wanted an August up top but it wouldn't fit. Do you foresee any issues with this? Hey Joe! I recently stumbled onto the Smarter Home Life YouTube channel and have found your videos super insightful. I am in the process of having my house built at the moment; and making it a "Smart Home" is high on my priority list. This will be my first time using smart home devices so I am largely going off of videos I have been watching on YouTube. Our patio door is a 16' glass sliding door. I don't want to cover it up with curtains since it's kind of a focal point and really opens up the living room. I had thought about maybe purchasing four Serena by Lutron smart shades to put over each glass door panel, but this seems like it will be way too expensive. Any thoughts? I love your videos. 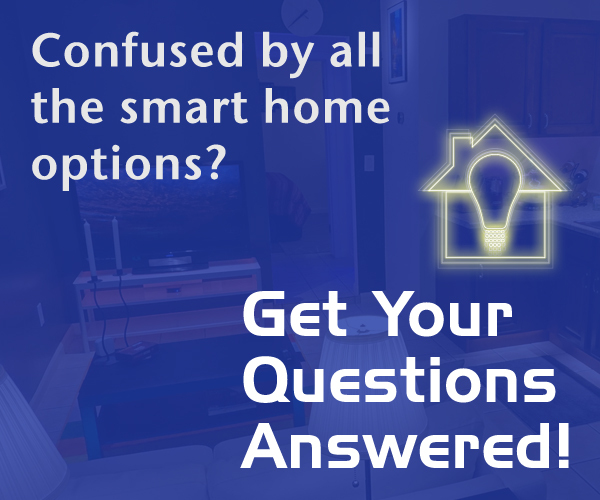 I have learned so much from them and have slowly been making my home “smart”. I’m needing an outdoor motion sensor that will turn on outdoor (dumb) lights through a smart switch and send a notification to my iPhone when motion is detected. I would also like to control the time of day the automation of the lights happens. I don’t need the lights to come on during the day. Does such a device exist?